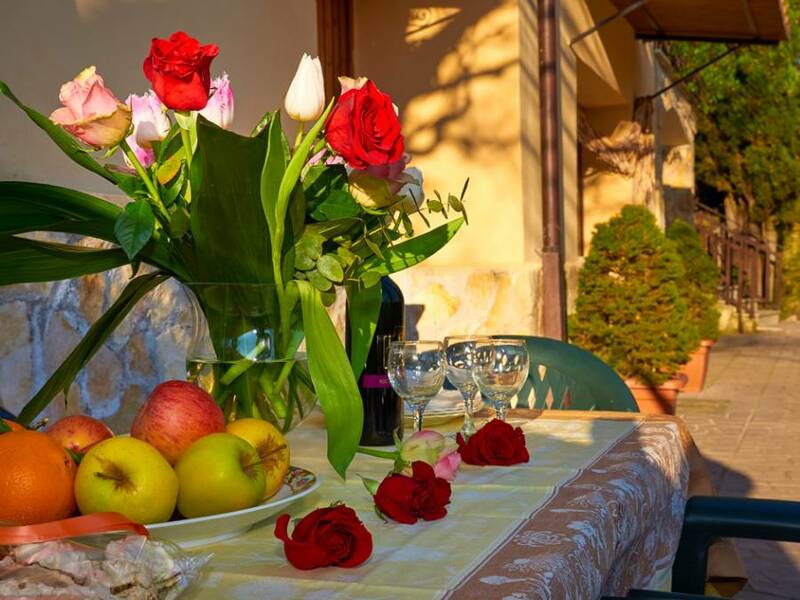 Castel Madama, Italy - Via Pietro Romano S. N. C.
The Country House Villa Pietro Romano, immersed in the natural environment that offers a large outdoor space with gardens, orchards and olive groves, in which fall in a harmonious way the barbecue and pool (above ground). 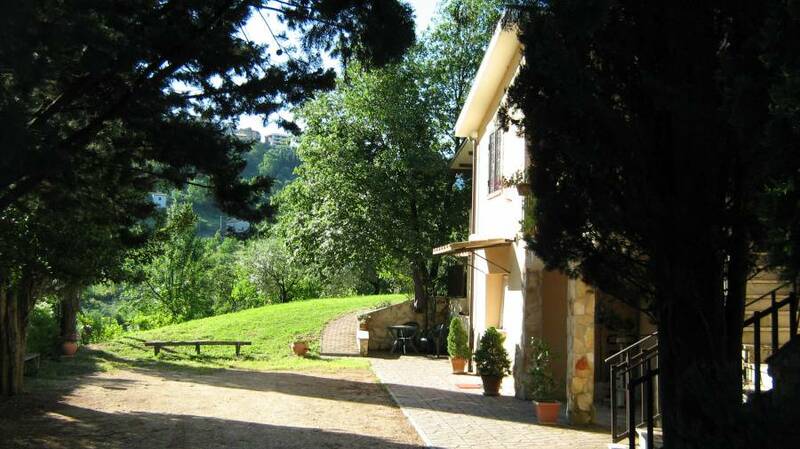 Country House Villa Pietro Romano, a well-kept house in the countryside with two apartments classico and rustico. Easily accessible apartments are 35 minutes drive from the center of Rome (Colosseum), 6 km from Tivoli and 2 km from Castel Madama exit the motorway A24 Roma-L'Aquila. The apartment "classic" is comfortable for 2 - 6 people. It has the living room, kitchen, two bathrooms, two separate bedrooms: one double room with a double bed (160x200), one bed room with one double bed (160x200), one single bed (90x200) and in the loft there is other single bed (90x200). The kitchen is well equipped with all necessary for cooking. There is air conditioning hot / cold fan and humidifier. Heating with wood-pallet system with radiators. There is the wi fi satellite Internet access. Outside the apartment there is a garden table with chairs. The apartment "rustic" is comfortable for 1 - 5 people. It has the living room with the kitchen and fireplace, one bedroom with a double bed(140x200) and two single beds (90x200), one of the single bed can be a bunk bed, and one bathroom. The kitchen is well equipped with all necessary for cooking. 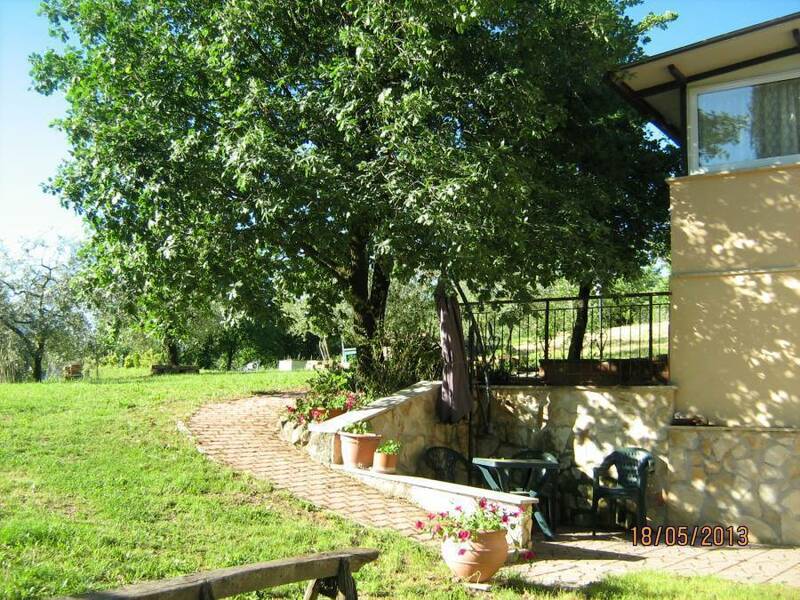 On the territory of country house (around 5, 000 m2) there are olive grove and well-groomed yard with a barbecue. 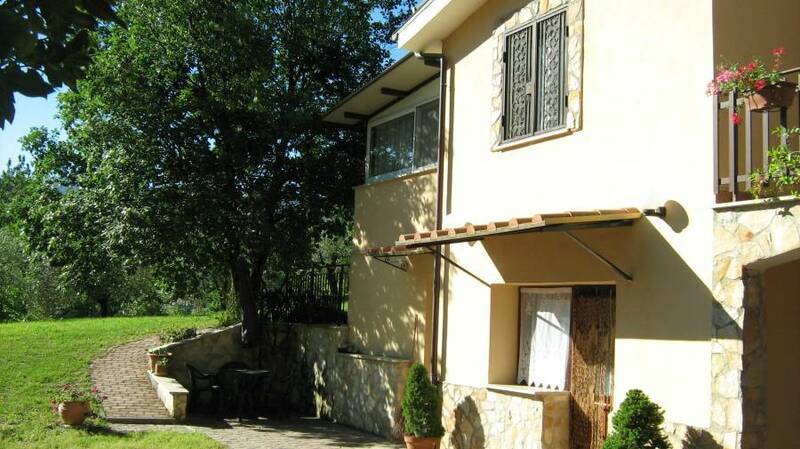 Country House Villa Pietro Romano composed by two apartments with well-equipped outdoor spaces. The apartment "classic" is comfortable for 2 - 6 people. The apartment "rustic" is comfortable for 1 - 5 people. The apartment "classic" is comfortable for 2 - 6 people. It has the living room, kitchen, two bathrooms, two separate bedrooms: one double room with a double bed (160x200), one bed room with one double bed (160x200), one single bed (90x200) and in the loft there is other single bed (90x200). The kitchen is well equipped with all necessary for cooking. There is air conditioning hot / cold fan and humidifier. Heating with wood-pallet system with radiators. There is the wi fi satellite Internet access. Outside the apartment there is a garden table with chairs. 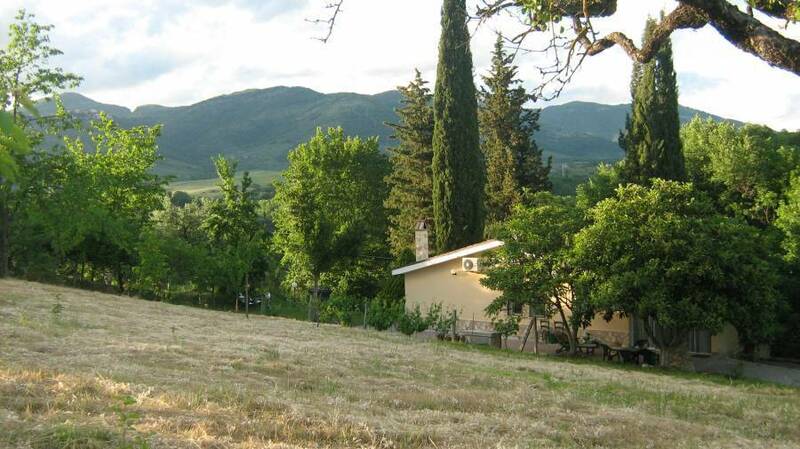 "san Michele Aveva Un Gallo ..."
The amount of the stay is paid in two installments: 50% at the booking, with a bank transfer; and the rest to be paid to the owner at check-in. In case of cancellation of the booking the 50% is not returned back. 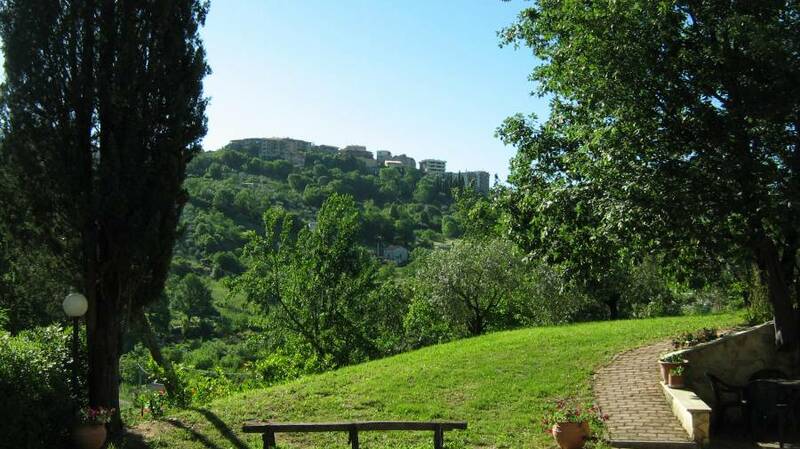 2 km from Castel Madama exit the motorway A24 Roma-L'Aquila.